It's been quite a week here in New York, and we hope you are reading this blog in your warm home, with lights on and family around you. The Yellin Center was closed at the height of the hurricane, but has been open and busy since Wednesday. 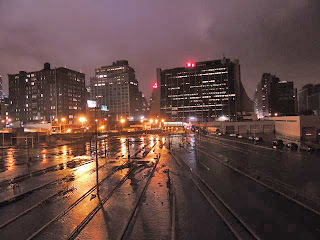 We aren't sure how, but our building on West 29th Street somehow escaped the mandate that all power would be turned off south of 34th Street (and remains off for most downtown areas as of Friday afternoon). Most of our staff, including Dr. Yellin, still have no power in their homes, and getting to the office has required patience and creativity. We've got folks sleeping in cold apartments, in the homes of friends who have electricity, and with relatives. Still, we have no complaints. We are all safe, our homes are intact (if cold), and we know that things will be better for us soon. We know that is not the case for many of our patients, friends, and colleagues and we are deeply concerned about them. We know that this blog is read by folks all over the country, so we wanted to let you know that we are up and running -- and to share our concern about those who have lost their homes, their businesses and, most tragically, their loved ones.